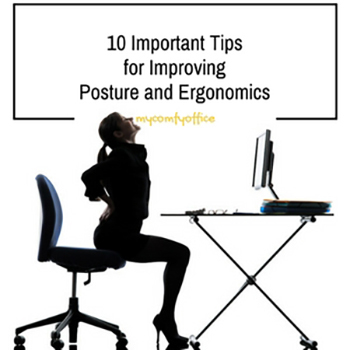 In the previous article, we discussed ways to identify the causes of bad posture and what bad posture looked like, now we would like to revisit this area and talk about how you can improve your posture by utilizing ergonomics and healthy practices. Here are 10 ways that can help you maintain a healthy posture and alleviate some unnecessary discomfort and pain that you might experience down the road. If you are aware of your surroundings and pay attention to your body you’ll find it easier to remedy the situation. 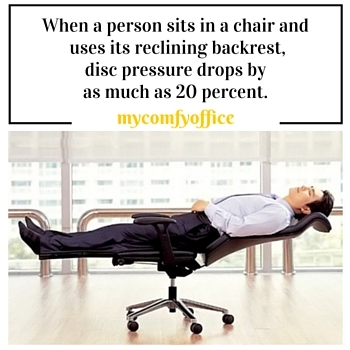 For instance, you experience some discomfort while sitting in your office chair, you’re constantly moving about trying to find that common comfortable position. It might not be you at all, but could possibly be your chair. 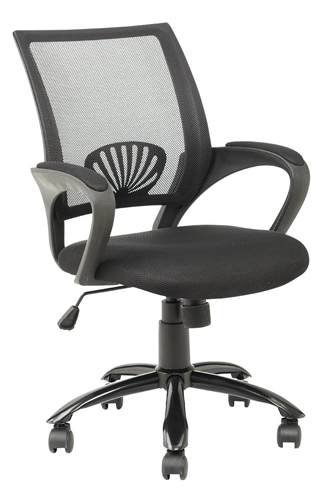 The comfortable office chair should be ergonomic to accommodate each individual user to their specifications. 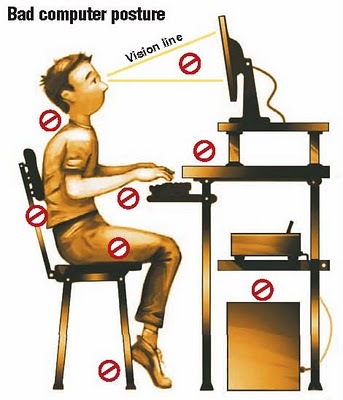 Make sure that you are sitting properly; your seat is adjusted correctly. This also goes for other scenarios where you might be experiencing back pain. It can be caused from an improper mattress, a new pair of shoes, anything. As we mentioned, pain is your warning sign that something isn’t quite right. 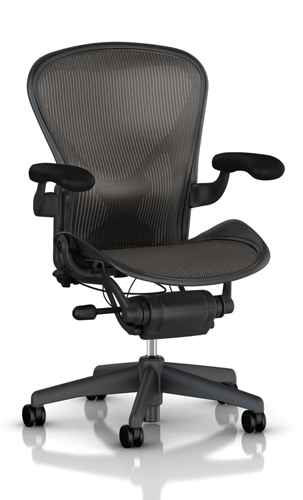 check out the top rated office chairs for back pain! This goes for sitting, standing, or walking; basically during anything and everything you do. Your body or your spine should maintain an alignment. Avoid slouching, sit up straight, and don’t lean to either side for long periods. There is an article that we provided for you to show you how to adjust your office chair to your specifications. Take 5 minutes out your hour and get up. Move around, perform stretches. This practice will keep your body from getting stagnant. posture friendly props can assist you in maintaining good posture. If your office chair doesn’t have the best lumbar support, try using a pillow. Footrests also assist in keeping your posture balanced. Always be aware of your surroundings and how your body is reacting. Pay attention to certain situations and causes that contribute to pain. Pain is an indication that something isn’t quite right. Keep your body conditioned by exercising regularly. Exercising improves strength in muscles and allows for more flexibility. Avoid wearing high heels as they affect the body’s center of gravity. Wearing supportive footwear or shoes with orthotics will greatly improve the way you carry yourself. Again, be aware of your movements, whether it’s walking, bending, lifting, and twisting. Practice keeping your posture aligned in all of those situations. By creating an ergonomic environment in places you spend time which is not just your work area, but at home as well will help you in the long run and promote good posture and reduce injuries. Plus, it will make everything that much easier and stress-free. You can have a massage chair and release the pain as well. Too much of anything can be harmful. Some people obsess over their posture, therefore, overcompensate their movements. Maintain a natural curve in your back; keep your head straight, and your shoulders tilted backwards slightly. It’s not necessary to prominently bend your shoulders back, or enhance the curvature of your spine. Remember it’s balance you are trying to achieve. 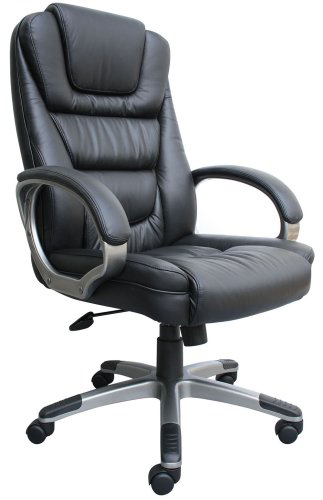 We also have reviewed Reclining Office Chairs for your ultimate office comfort! You have a missing word in this sentence above. Take 5 minutes out your hour and get up. People who sit for more than eight or nine hours daily, which for many of us describes a typical workday, also are at heightened risk for diabetes, depression, and obesity compared with people who move more often. It’s clear that moving matters. So set our 2017 appointment calendar to devote five minutes every hour to physical activity, whether walk up and down a staircase, along a corridor or just pace around our office.